We were at the American Museum of Natural History in New York recently, and I asked a uniformed employee of the museum how to get to the Imax theater. And it wasn’t “so” used as an adverb: “So many people declined the invitation that we had to cancel the party. 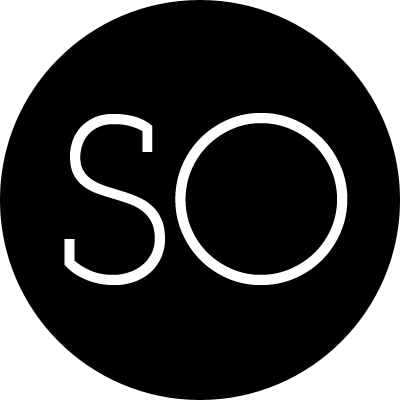 I first noticed this usage of “so” while listening to an interview on NPR perhaps seven or eight years ago, but I find that it has been around much longer than that and is the topic of conversation on a lot of web sites devoted to language. Some folks are quite passionate in their demands that the usage be stopped. For me, whose life is all about the English language, this is an interesting example of how our manner of speech evolves over time. Often, change occurs without us noticing it. When did movie tough guys stop using “say”? But in this case it’s a specimen that we can observe and that probably is harming no one except linguistic fussbudgets, and that probably will fade away just as innocently as it came. When we were watching episodes of Downton Abbey on a DVD, we turned on the English subtitles, because we had trouble understanding a couple of the actors — particularly Rob James-Collier as Thomas Barrow and Sophie McShera as Daisy Mason. It turned out that while some of our difficulty with the dialogue had to do with the one actor’s mumbling and the other one’s accent, some of it also had to do with the vocabulary itself — British terms that we did not know. Most of us are familiar with terms like “lorry,” “loo,” and “lift,” but we saw others in the captions that we had never heard before. It was to be expected that the English used in Britain and the English used in the United States would evolve differently, but I learned recently that that didn’t happen only over time but was done deliberately, on our side of the ocean, soon after the American Revolution. That’s what Paul Dickson reports in his book Words from the White House, which is a compilation of words and phrases that either were either coined or made popular by presidents and other prominent Americans. Part of the process by which language evolves is “neologizing” — that is, inventing words or phrases from whole cloth. 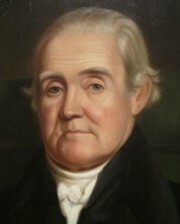 Dickson writes that the word “neologize” was itself neologized by Jefferson in 1813 in a letter to John Adams. 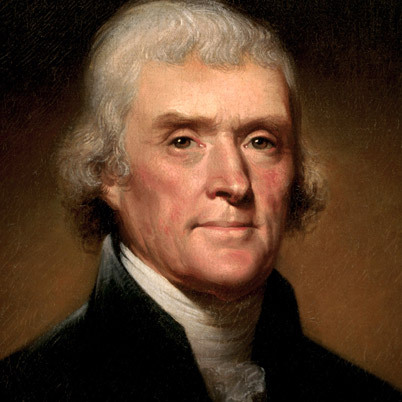 Some presidents have been accused of using non-standard terms, not because they were being inventive but because they didn’t know any better. In this regard, for instance, Dickson mentions Warren G. Harding and George W. Bush. Harding has often been ridiculed for his 1920 campaign promise of a “return to normalcy,” but Dickson points out that the word “normalcy” had been already in use in several fields, including mathematics. 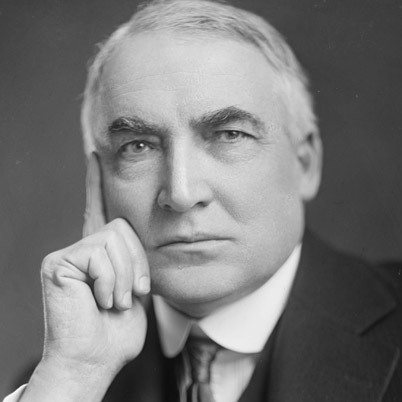 Harding’s innovation was to give the term a political meaning — and, the author reminds us, it worked. The second Bush — who could be hard on English — was kidded mercilessly for his used of the term “decider” which he applied to himself when the press asked him about calls for the resignation of Defense Secretary Donald Rumsfeld (“I’m the decider, and I decide what’s best.”) Dickson gives Bush credit for coining this word, but apparently the author didn’t check a dictionary: that word was around before George Bush was president, meaning exactly what he used it to mean. Sign at a tavern in Portland, Ore.
One of the classes I taught last semester included a section on idiomatic expressions. A topic like that always calls attention to the difference in the ages of the students and the instructor. We came across many expressions that a person my age uses casually but that many or all of the students didn’t recognize. None of them, for instance, knew the expression “hocus pocus,” which refers to the things magicians do and say to create the illusion that they have paranormal resources. 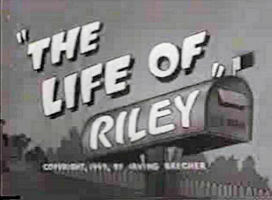 Opening title of the television series "The Life of Riley"
As the words left my lips, I could read in the faces of the students that they didn’t know what that meant. My experience has been that students are a tolerant lot, and that they wouldn’t think of embarrassing the instructor by pointing that he had said something they couldn’t comprehend. They would have been content to go on living without knowing what that expression meant. So I asked them: “Do you know that expression?” They didn’t, and even though none of them asked, even then, what it meant, I told them. 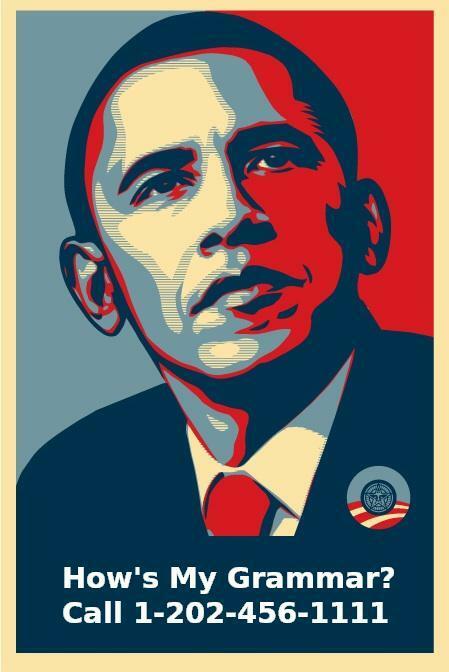 That set me to wondering where that expression originated, but I didn’t have time until now to look it up. Apparently there is no definitive answer. One theory traces the phrase to a song written in 1898 by vaudevillian Pat Rooney Sr. In that song, a hotel owner named Riley looks forward the day when he strikes it rich. 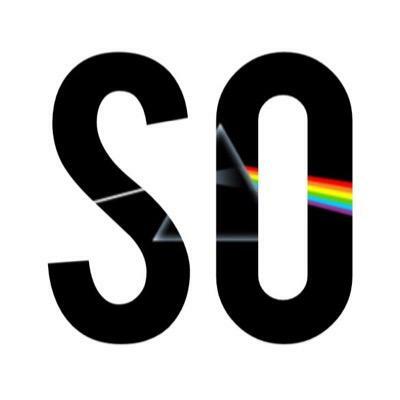 The phrase itself is not in the lyric of that song. Of course, I associate the expression with the television comedy series that starred William Bendix as Chester A. Riley; Marjorie Reynolds as his wife, Peg; the gorgeous Lugene Sanders as their daughter, Babs, and Wesley Morgan as their son, Junior. A radio show with the same title that appeared for a few months in 1941 was not related to the later series. 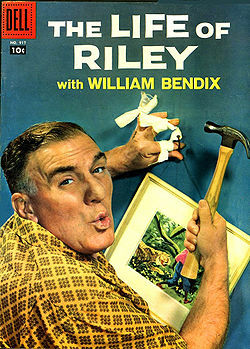 Film star William Bendix appeared on radio as Chester Riley from 1945 to 1951. One of the developers of that series was Gummo Marx. 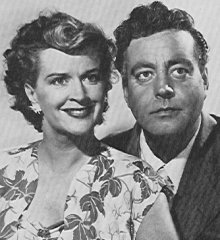 Bendix was making a film version of “Riley” when the show moved to television in 1949, so Jackie Gleason was cast as Riley and Rosemary De Camp as Peg. A contributing writer for that series was Groucho Marx, who had once been considered for the title role on radio. 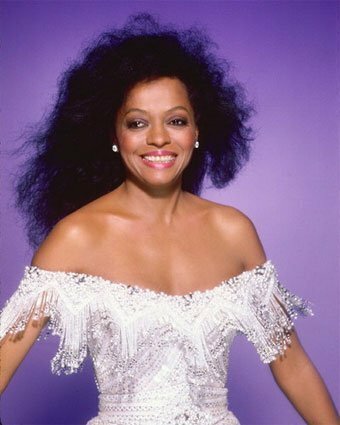 The series won an Emmy, but it ended after one short season because of a contract dispute. Bill Bendix on the cover of a Dell comic based on the series. 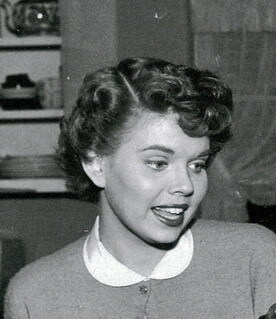 The show was introduced on television again in 1953 with Bendix and Marjorie Reynolds leading the cast, and it was a hit, running for six seasons. A 2009 BBC series with the same title is not related in anyway to the American shows. While I was looking around for information about this show, I came across two modern-day uses of the expression “Life of Riley,” both with more serious and somewhat ironic applications. One is a foundation headquartered in Sarasota, Fla., that raises funds to promote awareness of and seek a cure for pediatric brain tumors. The organization is named for Riley Saba, a 7-year-old girl who died because of such a tumor. You can visit the foundation’s web site by clicking HERE. Another site, this one located in Great Britain, was inspired by a boy whose first name is Riley. The youngster has a form of cerebral palsy, and a group of his family’s friends formed an organization to raise funds for charities that assist kids with that or similar conditions. Riley came by his first name because his dad was attracted to the song “The Life of Riley” by the Lightning Seeds. The song was written by Ian Broudie whose own son, Riley, now plays guitar with the group. You can learn more about the charity group by clicking HERE. Many years ago, I wrote a story about a group of college students who were fans of the “Honeymooners” television series. These students hadn’t been born in the 1950s when the show had its initial run, but they couldn’t get enough of it. Although I do the same thing with “The Honeymooners” and some other vintage shows, I asked them why they watched the episodes so often that they could recite most of the dialog, and they told me that the way the writers and actors used language was one of the things that fascinated them. 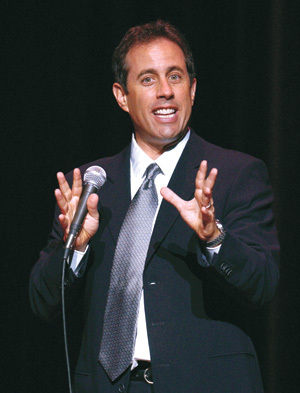 Fast forward to “Seinfeld,” which still holds my interest partly because of the way the writers and actors used language — for instance, a particular device, very New York to my ear, used to evoke comparisons. This phraseology was used seven times in the series — five times by Jerry speaking to George or Elaine, once by Helen Seinfeld speaking to Jerry, her son, and once by George, speaking to Elaine. Who are you? Who am I? A very “exerstential” question, as Elaine Benes observed. 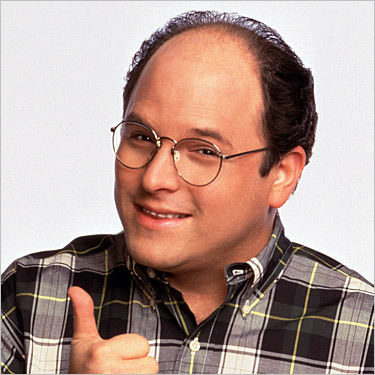 For a list of actual people referred to in “Seinfeld” scripts, click on THIS LINK. 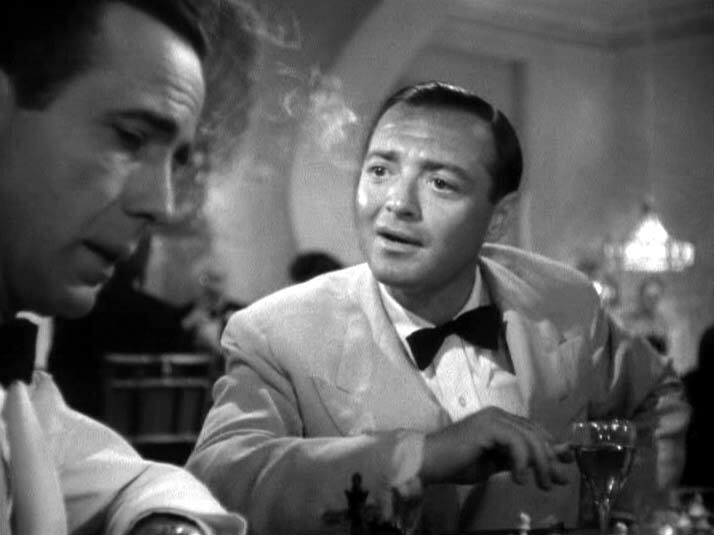 Humphrey Bogart and Peter Lorre in "Casablanca." I suppose if the president of these United States — and especially His Articulacy — can be criticized for his grammar, anyone is fair game. And so, Dan Neil, writing in the Los Angeles Times, laces into National Geographic, of all things, for a faux pas of its own. 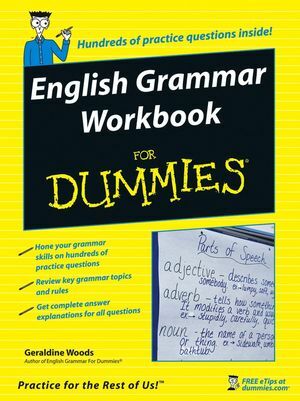 Obama has taken lumps for imprecise use of the first-person singular personal pronoun — though heaven knows he gets enough practice — but with National Geographic the issue is adverbial. In other words, friends, enrich your existence by being curious — but you got that the first time. How much of a tempest this is depends on the size of your teapot, but it does call to mind the campaign that those of a certain age will remember: “Winston Tastes Good Like a Cigarette Should.” This slogan was used by Winston from 1954 until 1972, and its longevity had everything in the world to do with its effectiveness. English teachers and grammarians bristled and fumed, perhaps enlightening some who would have been unaware that a phrase in such a comparative construction must be introduced by “as,” not “like.” At the same time, the sticklers succeeded in calling even more attention to the rapidly growing cigarette brand. 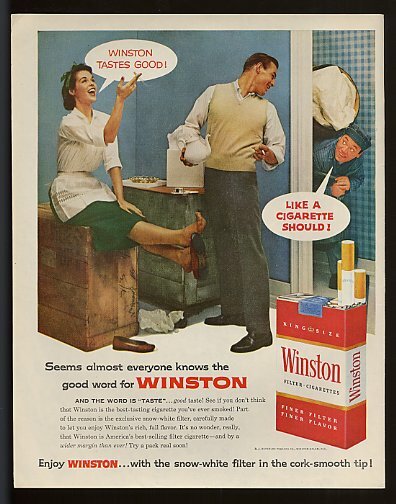 At a certain point, Winston responded to the criticism with a new slogan: “What do you want, good grammar or good taste?” Presumably, “none of the above” was not an option. For Dan Neil’s column, click HERE.